On New Years Day 1995 there’s a small earthquake not far from the Hoover Dam; at the same time Sid Cochrane loses his wife in awful circumstances and Janis Plumtree believes she has murdered a king. The pair meet later in a psychiatric hospital under the dubious care of the abusive Dr Armentrout, until another earthquake allows them to escape together. Scott Crane, King of the US West Coast, is dead, but will he remain that way? Teenager Kootie Sullivan is likely to be the next king, but does he want the title? Janis, possessed by various ghosts and personalities, is determined to restore Scott Crane to life, even if she loses herself in the process. The family and friends of the dead king want him returned, as does Kootie and his adopted parents Pete and Angelica. Only Sid Cochrane wants to protect Janis from her past and herself. With old and new enemies looking to capture a king, and a powerful god to appease, the unlikely group of allies have limited time to complete a complicated and dangerous ritual. This book is the third in the sequence, a follow up to both Last Call and Expiration Date. While both of the previous volumes are standalones, this book rests heavily on the shoulders of its predecessors combining the characters and supernatural elements of both, while adding new faces and magics. 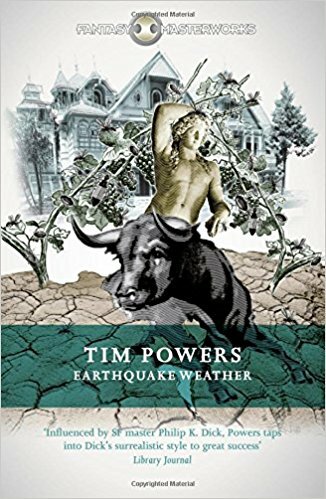 It is possible to read Earthquake Weather without having read the previous two volumes, but the weirdness will be confusing and the subtler references to previous events will pass the reader by, which would be a shame. Both previous books were complex in terms of the supernatural elements, plot and characters, mixing these as well as adding a new set of characters and a mythology that ties everything together is an impressive feat. The principal new characters in this volume are protagonists Sid Cochrane and Janis Cornelia Plumtree, and the villainous Dr Armentrout. As ever Powers creates characters who are suffering, or disconnected and throws them together through circumstance. Sid is a seemingly normal guy who works in a vineyard and is unaware of the supernatural focus that has shifted to him, he likes Plumtree and tries to help and protect her. Janis is complicated, a woman who seems initially to have multiple personalities, it turns out her situation is much stranger than a medical diagnosis can explain. Janis -and her other selves, especially Cody- are adrift in time, sharing an existence and trying to reconcile varied agendas. In this respect she is like a microcosm of the wider group, where each person has their own aims and doesn’t always feel comfortable within the loose alliance. Plus Plumtree has one persona who is definitely not to be trusted. Dr Armentrout is like many of Powers’ other villains, a seemingly-respectable person who uses their kneowledge and experience of the supernatural for purely selfish purposes and becomes obsessed with bettering themselves. Like many characters in this book Armentrout has been traumatised by past events, and he is literally haunted, but he has no qualms about abusing others to progress his own aims. This book sees the return of Pete, Angelica and Kootie from Expiration Date, now living as a proper family. Pete is less prominent in this book, but Angelica has embraced her connection to the supernatural and earns money that way, she’s also become a lot tougher than she once was, and is likely still a fugitive from the law. Most of her actions are centred around protecting her family, and keeping Kootie out of further danger. 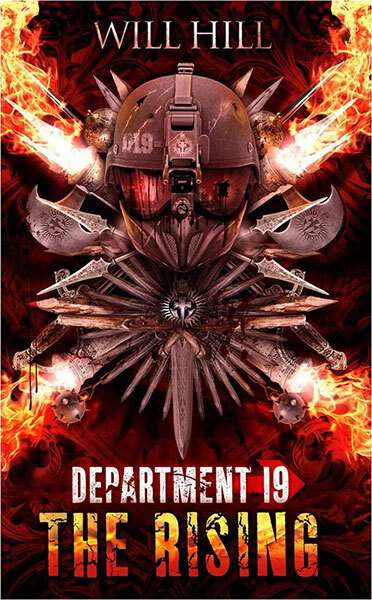 Arky Mavranos from Last Call plays a prominent role, acting as lieutenant and advocate for the King. He is the one who seeks out the Sullivan family and adds his knowledge of the Kingship and the supernatural to what the Sullivans already know. Hovering over the story is Scott Crane, King of the West Coast for the past few years and quite different to the character we last saw. The reader learns about Scott the man through Mavranos, Scott’s family and flashbacks, but his status as King is strong because his absence is the driving force of the plot. The development of the characters since their previous appearance is positive, and it’s good to see that the events of the previous volumes have created families and communities of characters who were in many ways disconnected before. As with the last two volumes location is important. Although the initial assembly of the main characters happens in LA at the Sullivans’ home, it is the Bay Area that is the focus of the story. San Francisco’s famous Chinatown plays a part, as does the Winchester Mystery House in San Jose and the Californian vineyards. 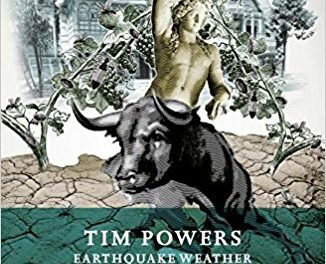 As ever Powers gives the reader a strong sense of place, weaving history and mundane street-level details with the supernatural to create a reality that feels grounded but also alien and wondrous. The mystical Kingship and ghosts that were the focus of previous volumes are both vitally important here, but further depth is added with new magics and supernatural forces. There’s a lot about wine, especially the history and fortunes of the Californian vintages and how they relate to a secret Dionysus cult brought to the New World long before. There’s also examination of who ghost-eating can affect the living, which ties into mental health themes. While Plumtree is an extreme example, and probably just stops short of being a magically disabled character, the book does link supernatural attacks and ghost-eating with mental health problems. I can’t comment on how well Powers depicts mental health conditions, he’s good with research in so many other areas, so I trust that he drew upon various resources here as well. As for his portrayal of people with mental health I don’t think they are demonised and they are certainly not shown to be particularly inspirational either. The story has a lot going on with vying agendas and regular complications, there’s action alongside magic and mythology. The characters are strong and the reader can understand their varied points of view, even the ones who are dangerous or amoral. Watching the uneasy alliances form and fracture pulls the story along nicely. Though certainly thrilling and fast-paced in places, the book also has eerie and reflective moments and the way the plot pulls together coherently with some much going on is wonderful. This is an excellent follow up to two strong books, and a great read for those who want complex, interesting fantasy.